Battery trains are nothing new – the first one came into service over 100 years ago! But making them suitable for today’s demanding railways has been a major challenge – until now. No mean feat but thanks to an Innovate UK grant as part of the Innovation in Rail programme the Class 230 battery train does all of this! The concept is simple – at the terminus 4 short sections of 3rd and 4th rail are installed and connected to the electronic control unit and the battery bank. 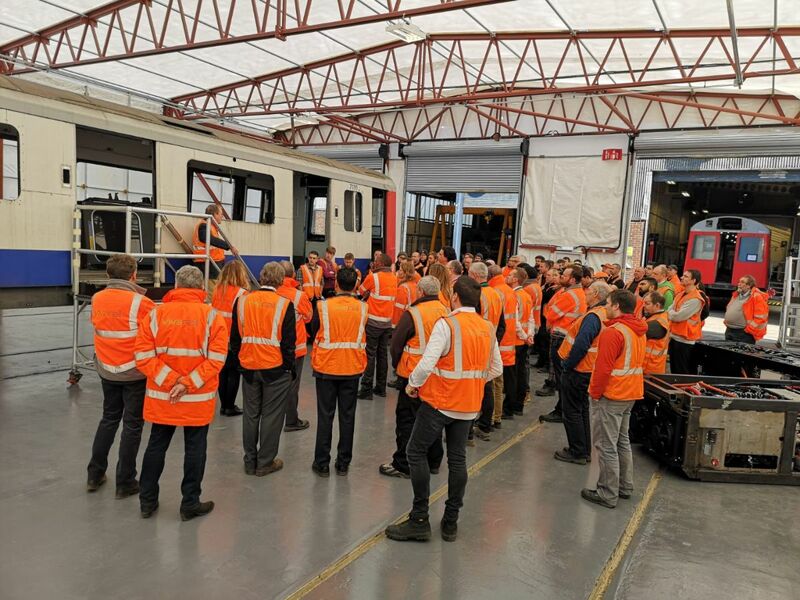 Whilst the train is in service the battery bank trickle charges itself from the national grid – the benefit of this is that there is a continuous low-level draw such as an EMU would use rather than a one-off huge demand for power. The train pulls into the station as normal and the shoegear connects with the sections of charging rail. 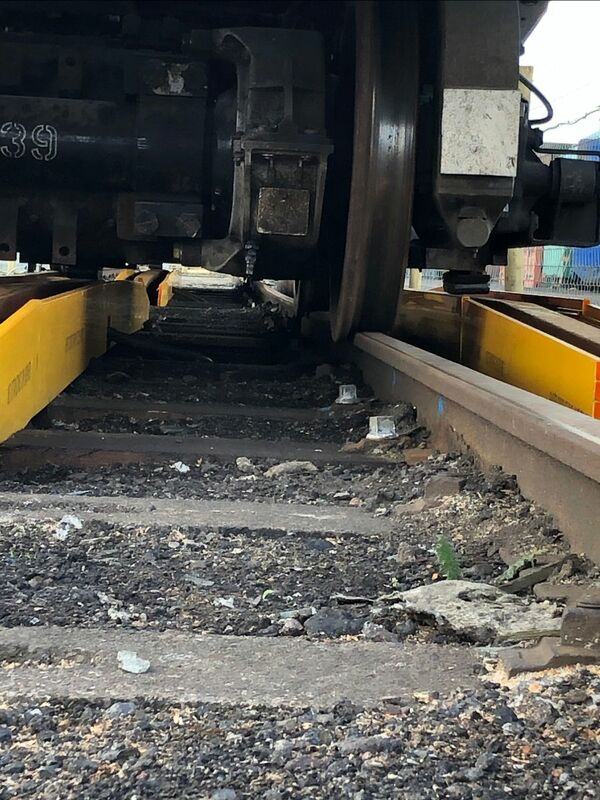 The driver need do nothing other than stop in the correct place as per normal and the rail is not live until the train is in place. Sections of 3rd and 4th rail each a metre or so long are installed – there is no need for any expensive infrastructure upgrades with the fast charge system.The train’s shoegear is made of ceramic carbon so it is able to withstand the heat generated during the fast charge process. It connects with the raised sections as the train pulls to a stop. 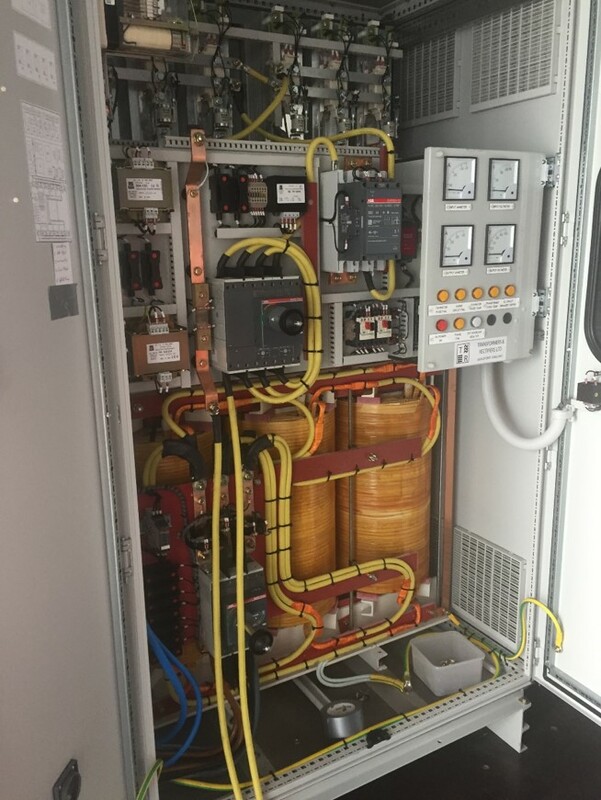 The electronic control unit is sited trackside with the battery bank and manages the current between the train and the power source. 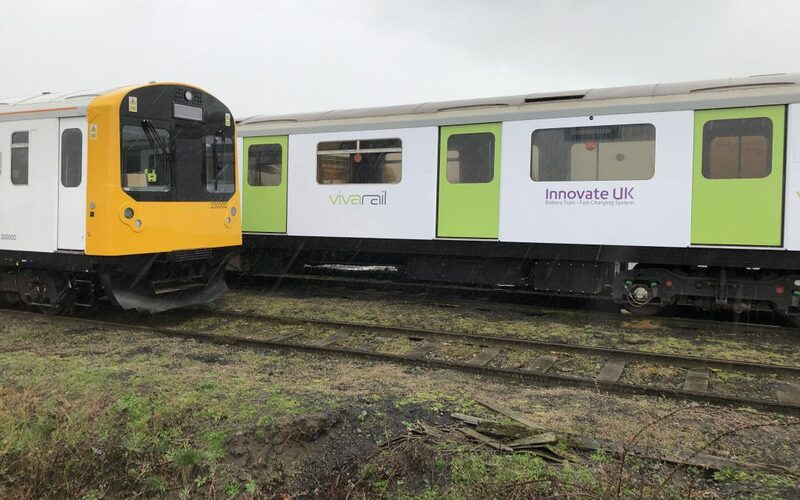 In some places there may be sufficient capacity for the train to use the national grid but the bank ensures that battery trains can operate even where that is not possible. 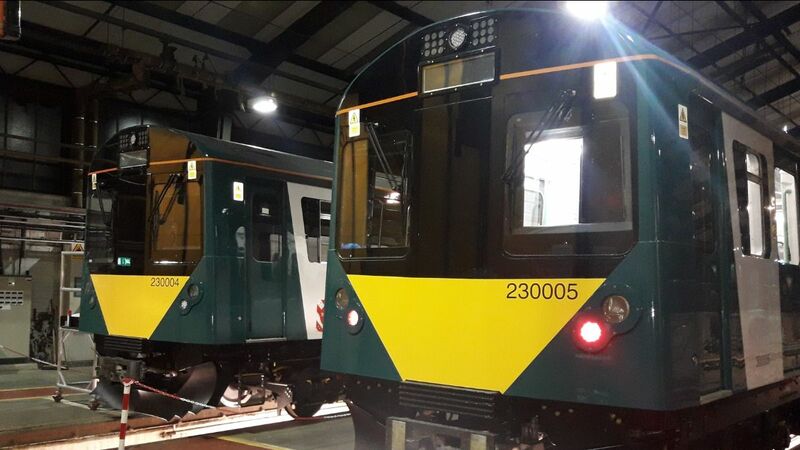 All trains have been delivered to the Bletchley depot for final testing and acceptance by London Northwestern – looking very smart and coming into service soon! 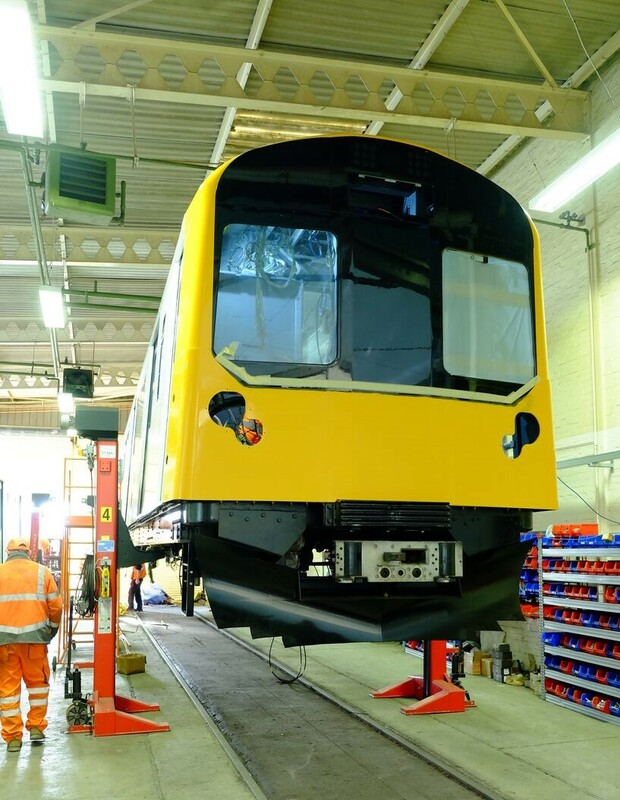 Testing is well underway on the diesel/battery hybrids being built for Transport for Wales. These trains have two batteries on each driving motor car and four diesel gensets on the middle car. The trains have the range of a traditional DMU but significantly cut emissions and noxious fumes. To meet the increased build schedule we have constructed a brand-new 9-car workshop which was opened by Adrian Shooter this week. 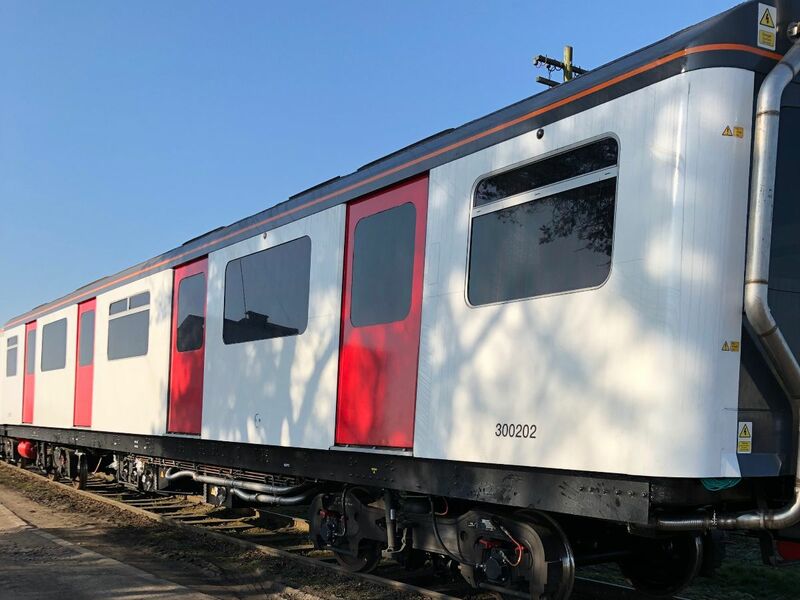 Trains will move from our strip-out shed through to the main workshop and then to our in-house paint facility – making a seamless process for easy and swift build. The first 2-car battery train for the US is under construction and due to be shipped out this summer. The train will be used to demonstrate pop-up metro services for the US where eliminating emissions – especially in cities – is as important as in the UK. 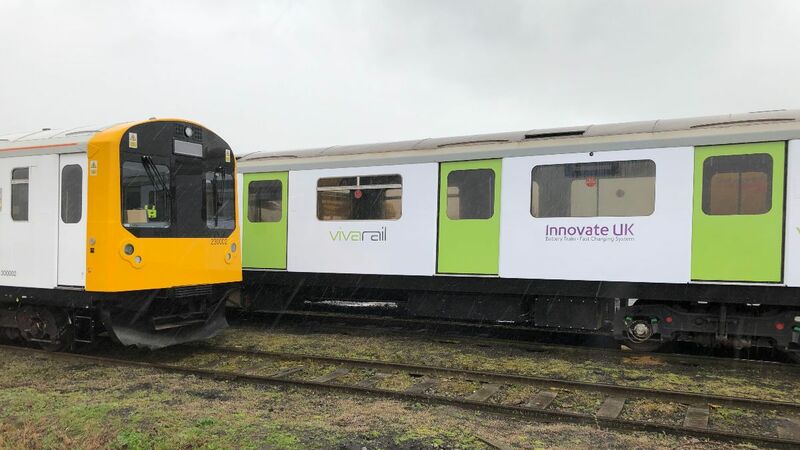 Copyright © 2019 Vivarail Ltd, All rights reserved.